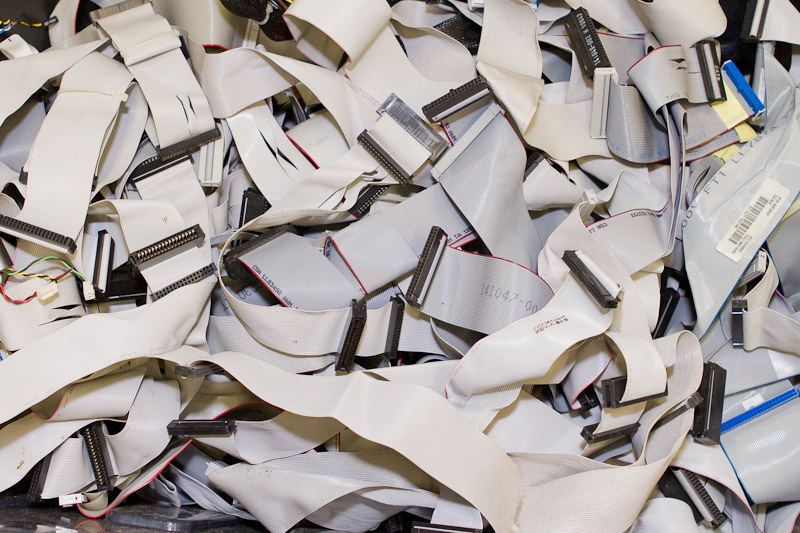 We buy wire and connectors and pay you for the valuable metals (such as gold, silver or copper) found inside them. See what other computer scrap has value and what we buy. 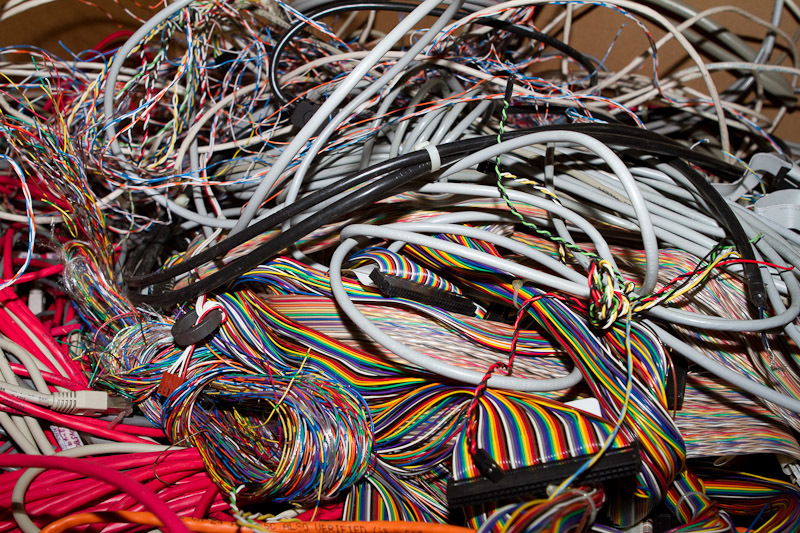 We buy wires and connectors from E-scrap such as ribbon cables, signal wires, eSata cables, USB cables, VGA cables, parallel and serial cables and any others. 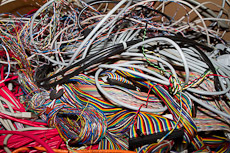 These cables contain copper wire which is valuable in large quantities and may have gold plated connectors. The value of wire and connectors is included in our settlments for whole computers, however we will buy wires and connectors separately in large quanities. We buy copper containing wire from many applications such as industrial power cables, power distribution wires, telecom or cable runs and more. We buy any size (<1/8" to > 8" in diameter) and pay for the valuable metals (usually always copper) found within them. 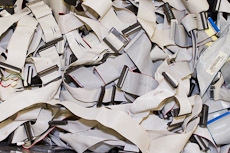 To get started, please contact us, or send us details about your cables or connectors for a price estimate and shipping arrangments. The minimum shipping quantity for wire is 500-1000 pounds to ensure your profitability.